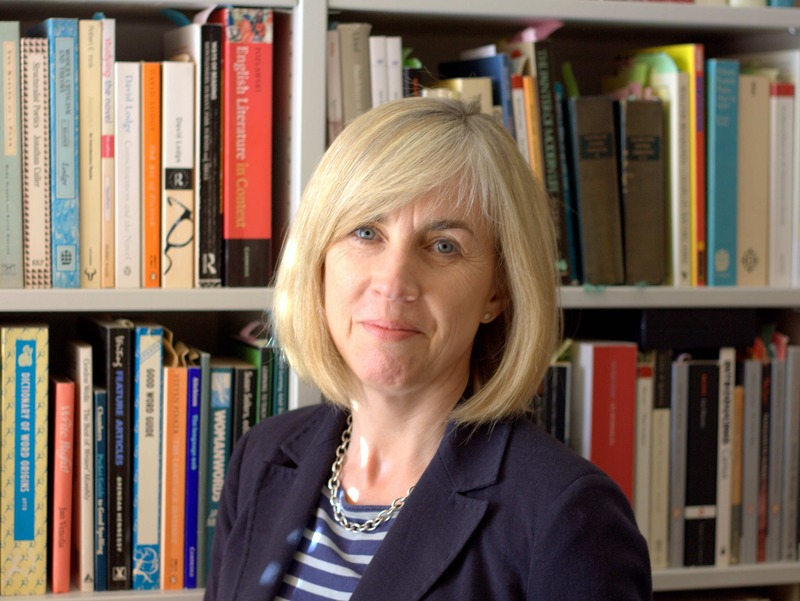 Ann Kennedy Smith works as a panel tutor at the University of Cambridge Institute of Continuing Education. She has an MA in biography and nonfiction from the University of East Anglia. She was shortlisted for Biographers’ Club Tony Lothian prize in 2015, and has contributed two articles to the Oxford Dictionary of National Biography on Cambridge’s academic wives. She is working on her first biography. What does it mean to be a dangerous woman? History offers us changing perspectives. This is the story of two women with very different backgrounds. One was judged so dangerous in her lifetime that it was recommended that she should be locked away for her own and society’s sake. The other spent her life fighting for improved mental health care, but some of her actions might be interpreted as dangerous today. Born in 1854 in London, Ida was the daughter of the influential civil servant Lord Thomas Farrer and Frances née Erskine, famous for her singing voice. Ida was brought up in a wealthy, well-educated Victorian world that mixed privilege with politics, science with the arts. Her father and Charles Darwin were close friends, and in 1880 Ida married Darwin’s youngest son, Horace Darwin. After their marriage they moved to Cambridge where Horace, an amateur inventor, began making specialist measuring equipment for the new scientific laboratories in Cambridge and elsewhere. His business, the Cambridge Scientific Instrument Company, was the first successful technology company to be based in the city. Being in a university town brought Ida into contact with a new world of ideas. She became part of a close circle of women who had recently come to the town as wives and students, and who shared her zeal for education and strong sense of social awareness. For Ida, who had longed to be a student herself, there were lectures and classes to attend, discussion societies to join, and causes such as the fledgling women’s colleges to support. For Ida, the town and its problems counted very much. Cambridge in the 1880s was a place of contrast. Not far from the newly built family houses and beautiful college buildings were medieval courts and passages packed with families living in poverty and squalour. Ida wanted to do something to help. In 1882 she and other like-minded wives formed the ‘Cambridge Association for the Care of Girls’ to offer support to town girls who were in dangerous circumstances, being drawn into prostitution or suffering neglect or abuse by their own parents. The girls would stay in hostels and be trained as domestic servants, the major source of employment at the time. Mabel Alice Holmes was born near Cambridge in 1894, the daughter of John Holmes, a wood-seller and labourer, and his wife Elizabeth. In 1910, aged fifteen, she was living in a hostel run by the Association for the Care of Girls, while training to be a domestic servant. Her father wanted her to come home; he said her mother missed her. The charitable woman of Victorian and Edwardian Britain is nowadays often seen as a meddlesome do-gooder. For the many thousands of British women who worked unpaid for charity, the biggest section after domestic service, it was ‘a lever which they used to open the doors closed to them in other spheres’, according to the historian Frank Prochaska. Public-spirited women provided the means of social investigation and getting things done in the absence of state provision. Ida’s work with disadvantaged girls coincided with a growing awareness nationwide that large numbers of children were apparently unable to benefit from state education, compulsory since 1870. These children were labelled ‘feeble-minded’ or ‘mentally defective’, and it was increasingly believed that when they grew up they would fall into criminality, promiscuousness, drunkenness and poverty and have feeble-minded children of their own. In 1910, the then Home Secretary Winston Churchill said: ‘I am convinced that the multiplication of the Feeble-Minded […] is a terrible danger to the race.’ Churchill, like many others, believed that the British nation’s ‘stock’ would be weakened, and joined forces with the powerful eugenics lobbying for a law to enforce sterilization. The 1911 census shows that Mabel was employed as a servant, but it did not last. She ran away, and was placed by the authorities in various homes including a Salvation Army hostel in London, the Cambridge workhouse and a Mission Home. In each of them she smashed windows and escaped. Ida disagreed strongly with enforced sterilization, and was convinced that special institutions which provided good care and employment were the answer. In 1912 she joined an influential pressure group of scientists and public figures, including Karl Pearson, William Bateson and the Archbishop of Canterbury, who called for the government to act. They did. The Mental Deficiency Act of 1913 was the first legislation by the British government specifically related to services for people with learning disabilities. One of its recommendations was the permanent segregation in institutions for people judged to be mentally defective. In 1913, aged seventeen, Mabel was brought before Cambridge magistrates, accused of stealing a blouse and attempting suicide by drinking lineament intended for a sore leg. Her own mother had brought the charges, and denied beating her daughter. Mabel was sentenced to two years in a ‘borstal institution’. The Act that Ida had envisaged as providing care is today more usually seen as a means of imposing control. Until it was repealed under the Mental Health Act of 1959, the 1913 Act was a licence for anyone considered ‘defective’ to be sent to an institution indefinitely. The First World War changed everything. Mabel Alice Holmes, that unhappy girl, was the first person to be categorized as a ‘moral imbecile’ under the new Act that Ida Darwin had helped to put in place. Ida had strongly objected to the term ‘moral imbecile’, but the Act had set in stone the prejudices of others. Seen by society as a dangerous woman, Mabel Alice Holmes was ordered to be detained in an institution for life. The war brought Ida and Horace personal tragedy when their son Erasmus was killed at Ypres in 1915. Despite her grief, Ida continued with her war work helping Belgian refugees and kept up an active interest in mental health research, reading Freud and following with interest her friend Dr Rivers’ accounts of his work with officers suffering from shell-shock, now known as post-traumatic stress disorder, at Craiglockhart War Hospital. Rivers had pioneered a humane ‘talking cure’, rather than the conventional electric shock therapy. Siegfried Sassoon was one of those who were deeply grateful for the doctor’s compassionate approach, famously depicted in Pat Barker’s novel Regeneration. In January 1919 Ida asked Rivers to attend a special meeting in Cambridge to discuss the treatment of early mental disorders. She was convinced that his talking therapy could be used to treat the people she knew would benefit most: ‘children of school age passing through a period of nerve storm, who are clearly not mentally defective’. Ida might have been thinking of girls like Mabel that her charity had tried, and singularly failed, to help. It was the beginning of an understanding that mental illness was not an inherited trait or a sign of mental defect, but a rational response to stress. During the course of the twentieth century, advances in medical and psychiatric science proved that nutritional deficiency, poverty, abuse and neglect all contribute to mental disorders. Instead of institutional care, early diagnosis and proper medication gradually became common practice, along with therapy, community care and family support systems. In the end it was love, and the war, that saved Mabel. The war meant that the 1915 court order was never enforced, and in 1916 she married Frank Swan, a soldier from Saffron Walden near Cambridge. She dropped the name Mabel, and became Alice Swan. It was a new name and a new life: Alice and Frank had two children, and she lived until the 1950s. Throughout her life Ida Darwin continued to fight for better conditions in mental health provision. In the 1920s she helped to organize one of the country’s first outpatient psychiatric clinics, and was co-founder of the Central Association for Mental Welfare, one of the three groups that joined forces in 1946, the year she died, to form the national organization now known as Mind. In 1970 a new hospital at Fulbourn near Cambridge was named after her. The ‘Ida Darwin’ now houses several clinics, including Headway, and continues to specialize in helping young people with mental health issues and their families. In 1919 Ida was ahead of her time in understanding that the line between sanity and insanity was not as fixed as most people believed. Was Ida Darwin a dangerous woman? Perhaps. She took action, and made mistakes, but over the course of her lifetime her work contributed to improve mental healthcare in Britain.